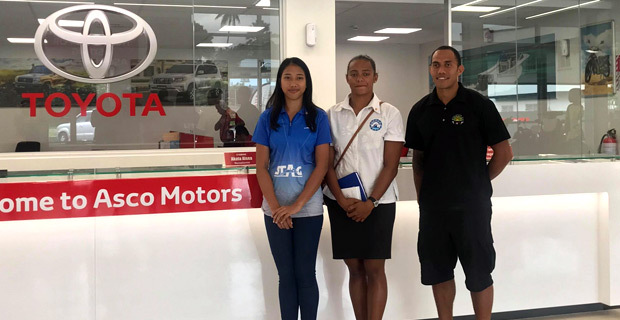 Four Fijian athletes have received scholarships from the International Olympic Committee that will continue be till the 2020 Tokyo Olympics. The athletes are Eugene Vollmer from Athletics, Sally Yee from Table Tennis, Matelita Buadromo from Swimming and Robert Elder from Archery. Buadromo who participated in the 2012 and 2016 Olympics says in 2020 she wants to qualify through merit. Yee is based in Japan, Elder is in Australia while Vollmer and Buadromo are based in Fiji. The scholarship will help the athletes prepare in their quest to qualify for the 2020 Olympics. Meanwhile, Toyota in Fiji launched their official Olympic Partnership in Fiji.